The problem is caused by the Proximity Senor of the phone. A manual calibration of the proximity sensor would fix the issue. To fix, Open the DialPad on your phone, Dial *#*#7769#*#*, In the proximity calibration screen, tap on Start. Wait a few seconds to let it collect data, it should now show Calibration Good (in green). Tap Exit and you’re done. Apart from this fix also make sure there is no dust or screen protector covering the Proximity Sensor. The problem is caused by the incompatibility of "Adaptive Brightness" and "Color Enhancement" features. 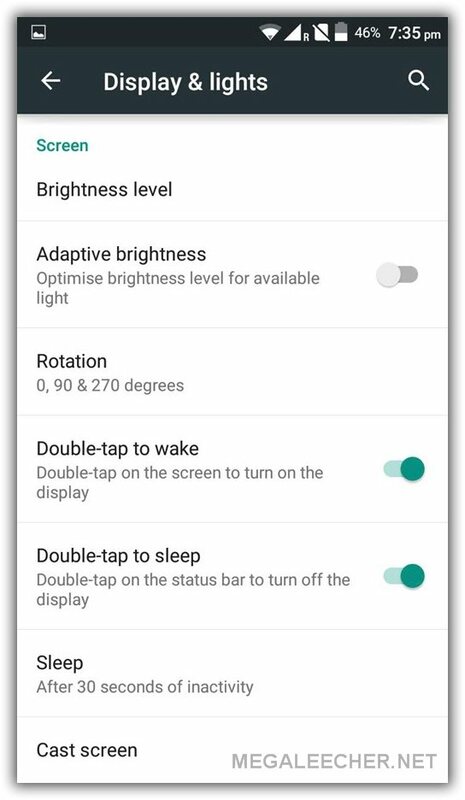 Just swipe down from top of the screen and slide the Brightness slider towards "right" and the display should come back. 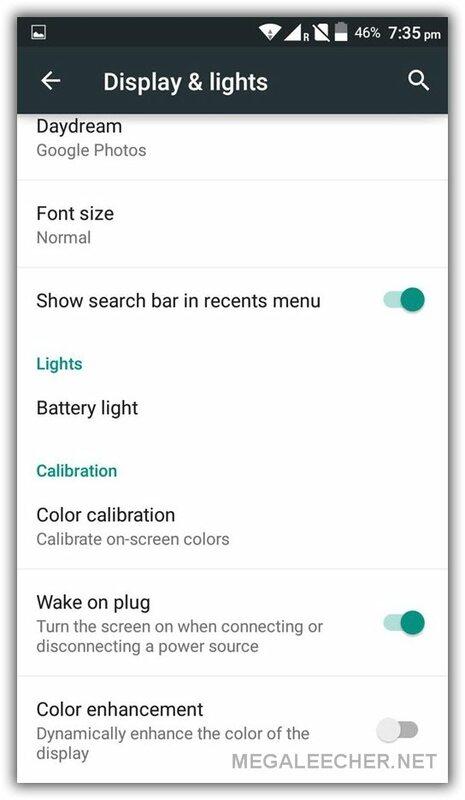 Now, navigate to "Settings->Display & lights" and "Turn Off" - Adaptive brightness and Color Enhnacment features as shown below. This will fix the issue for you. Do share your own experiences with these fixes in the comment section below. Screen goes blank after dialing a number and pressing "Call". (I didnot place it over my ear). The screen comes back when the call is disconnected (by the other person). I cannot disconnect a call or do anything while the call is in progress. I'm finding this issue reported by many in yureka forums, but not in here. Hence creating a new case. I also have same issue. Please suggest. After the 5.1 lollipop update, i am facing issue with Auto locking. Screen gets locked frequently whenever a new application is opened. Can you suggest steps to disable this auto locking. 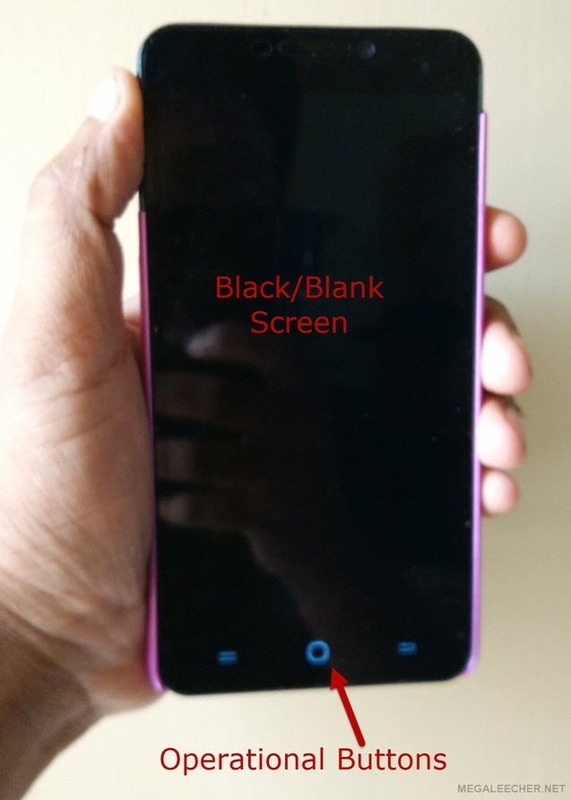 My Yureka mobile is getting blank screen during working, for every 5 minutes.please give me solution to overcome this problem. Make sure anything (like cover or dust) is not covering the ambient sensor. I am using yureka from last 7mnths..i updated my phone twice...when i updated it last time...aftr dat whenever i try to open contact it doesnt respond...it shows contact has stopped....plz do help me fixing this problem as m unable to face anyones no. Thanks buddy, I have same problem. Now its fixed. Make sure you have upgraded to the latest software version and try the calibration trick demonstrated above. this video helped me to solve this problem. Thank you very much for the fix. It works. Thanks a lot. This thing worked well for my phone. Screen blank problem gone. God bless you. This worked great for my Yureka phone. Thanks a lot for you help! My hand set is Yureka 5040. When I updated to Noughat it's screen became black during work. Moreover when I dial *#*#7769#*#* it doesn't work. Their is a problem in my yureka black phone that is when I call or receive the call the screen turn off ...I think this is the problem of proximity sensor....I have dialed this no *#*#7769#*#* many time but it doesn't work....so pl give me another way to turn off proximity sensor...as soon as possible When I updated to Nougat it's screen became black during work. Moreover when I dial *#*#7769#*#* it doesn't work. Did workout for me. Thanks.